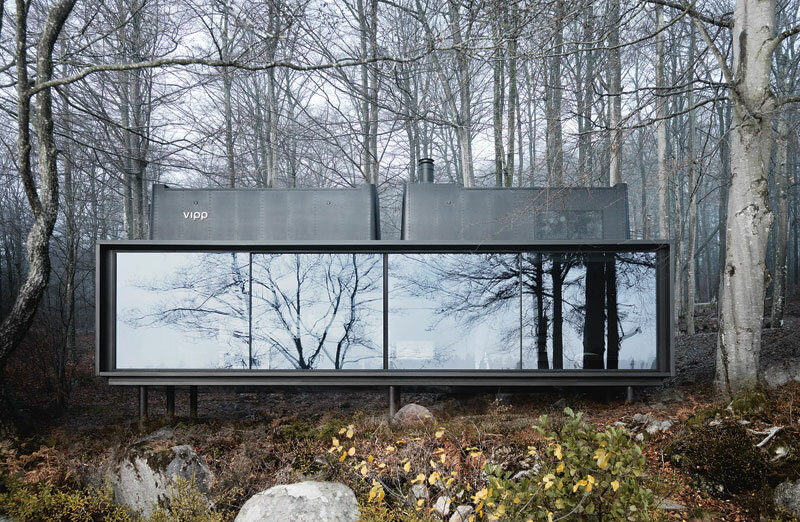 Ghent-based architecture studio Ark Shelter has just released their latest prefabricated construction: ‘Into The Wild’ is a minimalist dark wood cabin that open to the outdoors and allows you to watch the stars from your bed. The Fuchun River in China feeds into a small lake nestled beneath the mountains. Here, you will find a selection of wooden houses designed by the Design Institute of Landscape and Architecture China Academy that appear to float on the water. 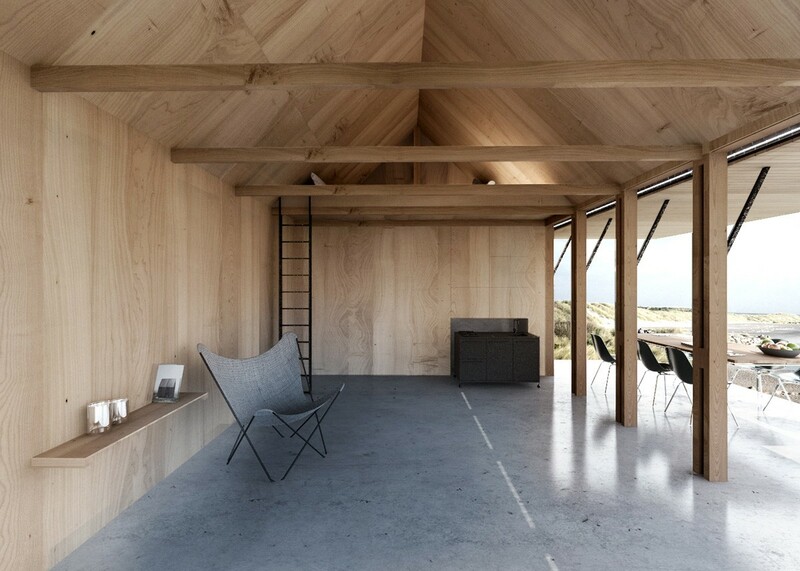 Hobart-based firm Maguire and Devine Architects has designed an off-grid cabin, set amongst the eucalyptus on an island off the southern coast of Tasmania. Beside Mexico’s famous pipeline, just beyond the surf town of Puerto Escondido is ‘Casa Tiny’. 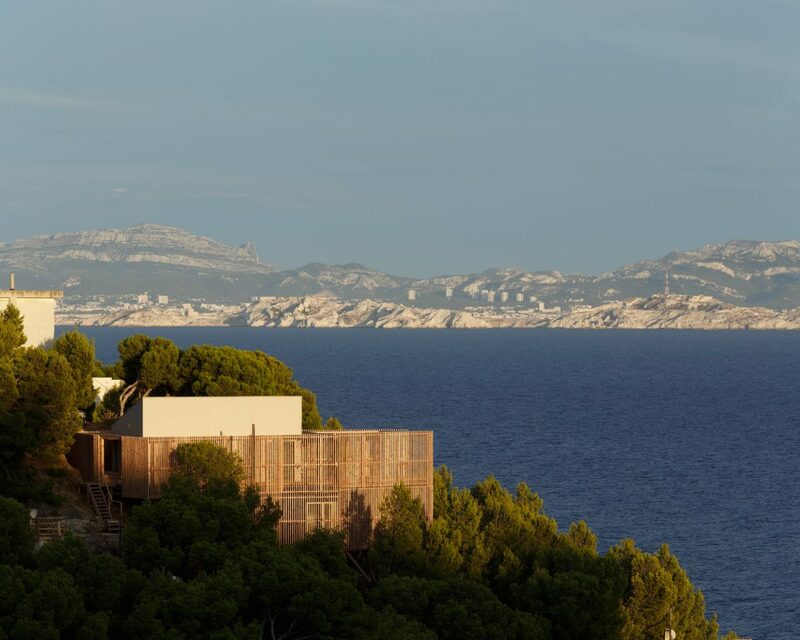 Designed by Aranza de Ariño, this idyllic concrete dwelling sits nestled amongst dense vegetation just a short stroll from the beach. 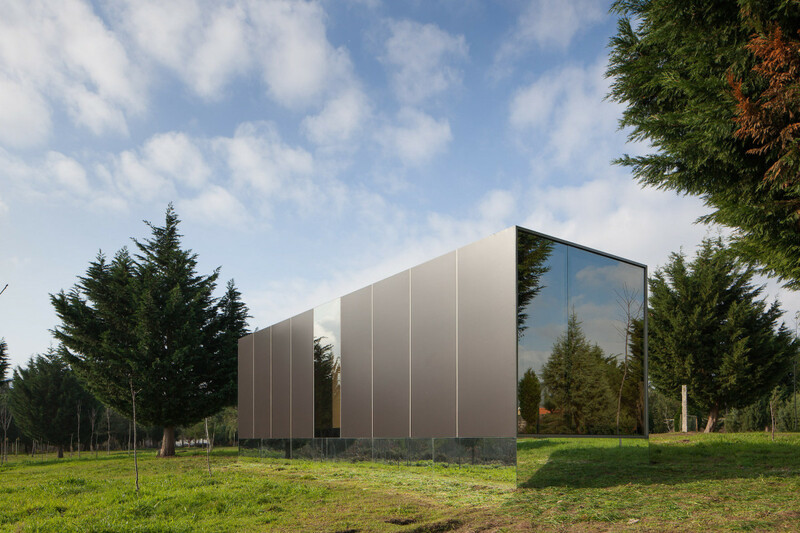 Set amongst the desert plains of Gorafe, Slovenian firm OFIS Arhitekti has designed a mirrored glass pavilion that offers protected and unparalleled views of the Andalusian landscape and night skies. 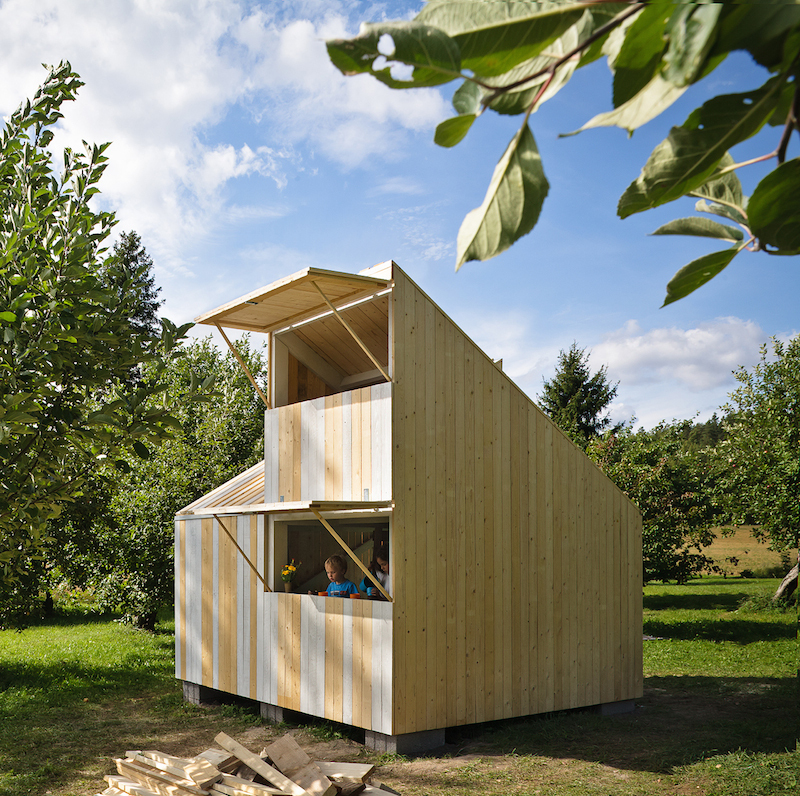 In Austria’s Bregenz Forest, Innauer-Matt Architekten has designed a mobile exhibition house for Kaspar Greber, a timber construction company. 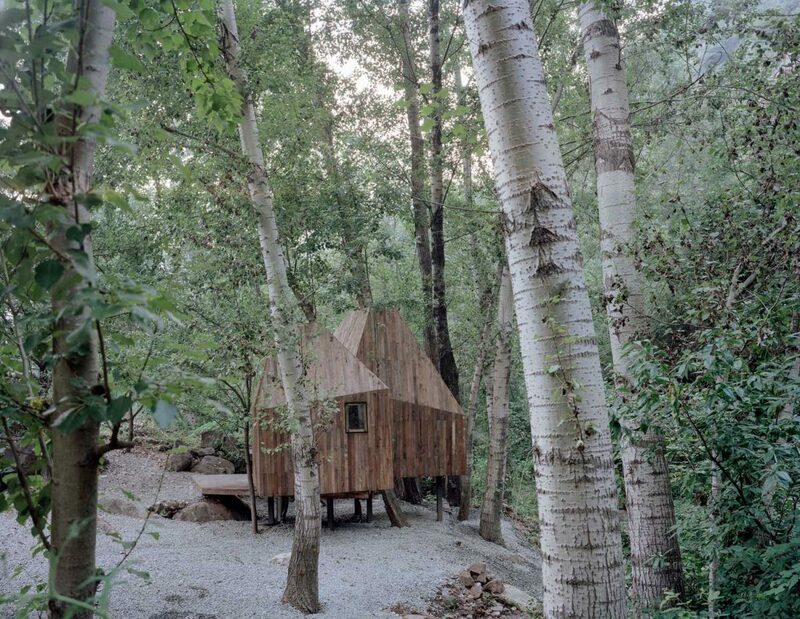 Around the majestic gnarled trunk of a centenarian oak tree is ‘ORIGIN tree house’ — a wooden cabin designed by French architecture firm Atelier LAVIT in the forest of Chateau de Raray. 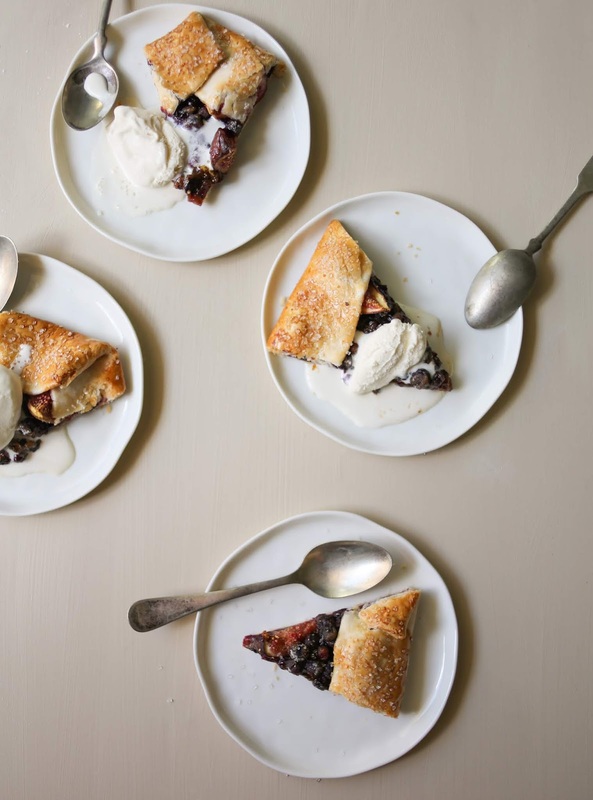 In Ontario’s Blue Mountains, Atelier Kastelic Buffey has drawn together traditional form and contemporary comfort in their design of ‘Alta Chalet’ — a holiday home for a family of five. 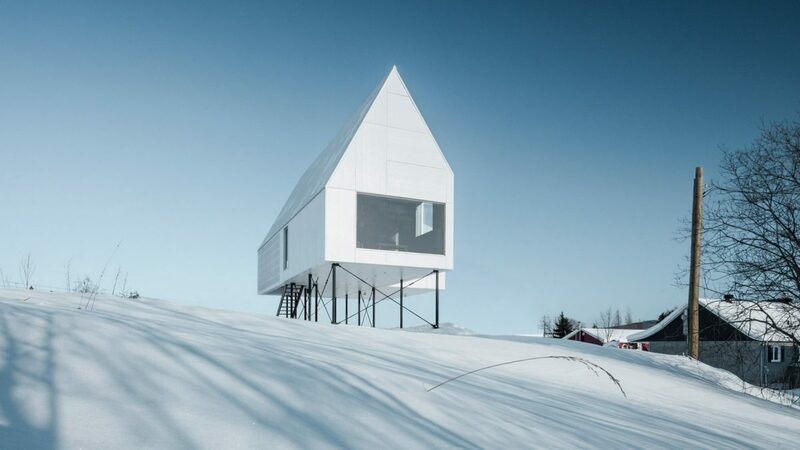 The ‘House in Tschengla’ looks out over a small village and across the mountains of Austria. 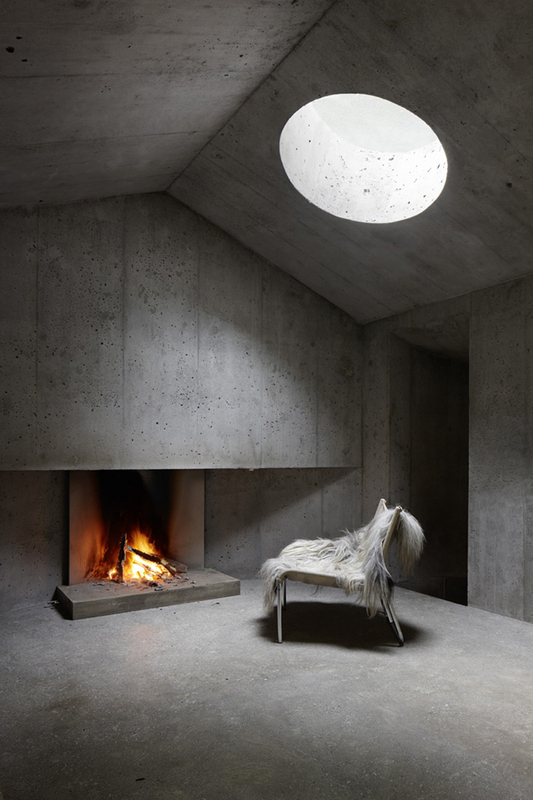 Designed by Innauer-Matt Architekten, the home was built to provide a place of calm away from the chaos of the city. 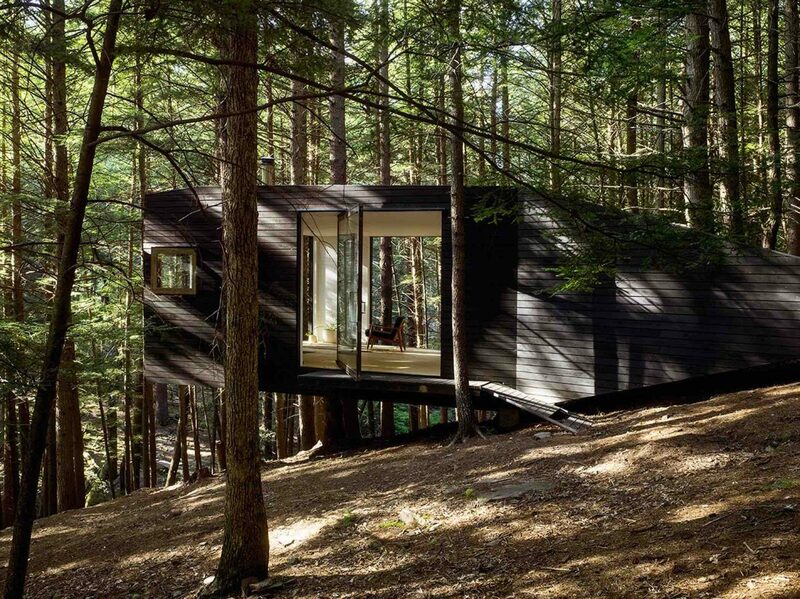 In the mountainous woodlands of Austin, Québec lies Chalet Grand-Pic — two cabins, one large and one small, each clad in black-gloss corrugated steel, and connected by raised decking. 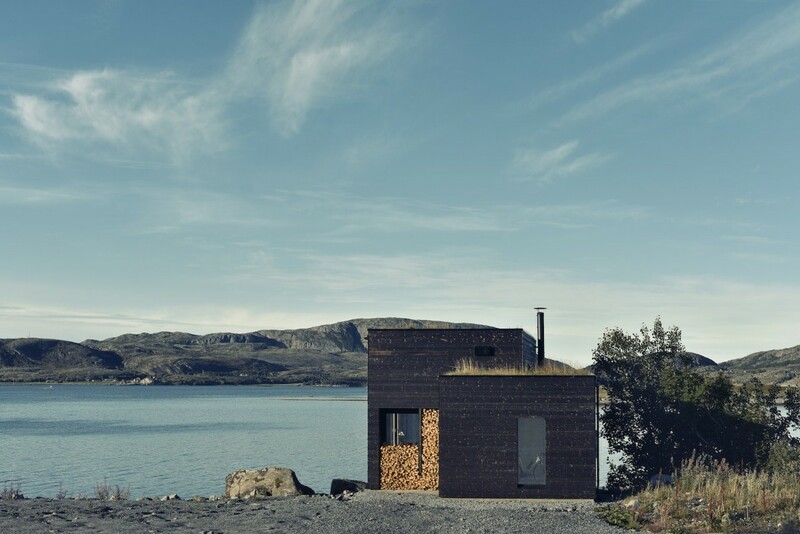 In the Arctic Circle, a collection of nine cabins sit against the rocky landscape of Norway’s Fleinvær archipelago. 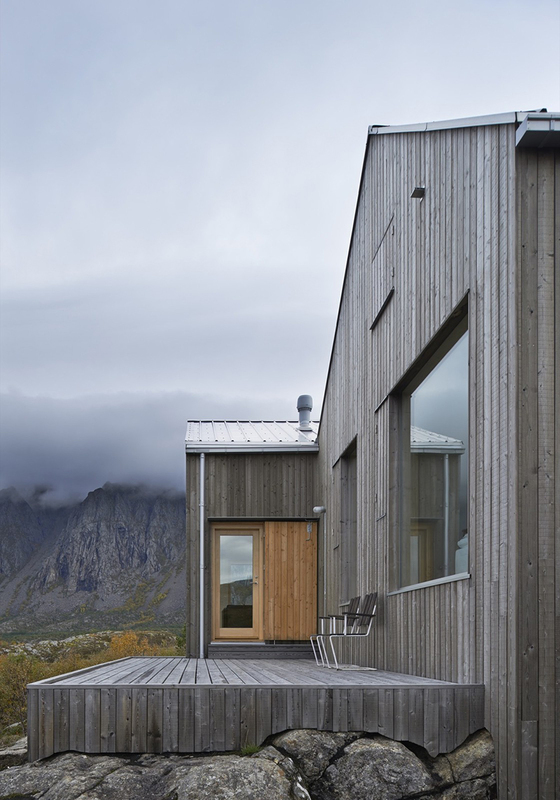 A creation of the composer Håvard Lund, Fordypningsrommet is the world’s most northern artist residency. 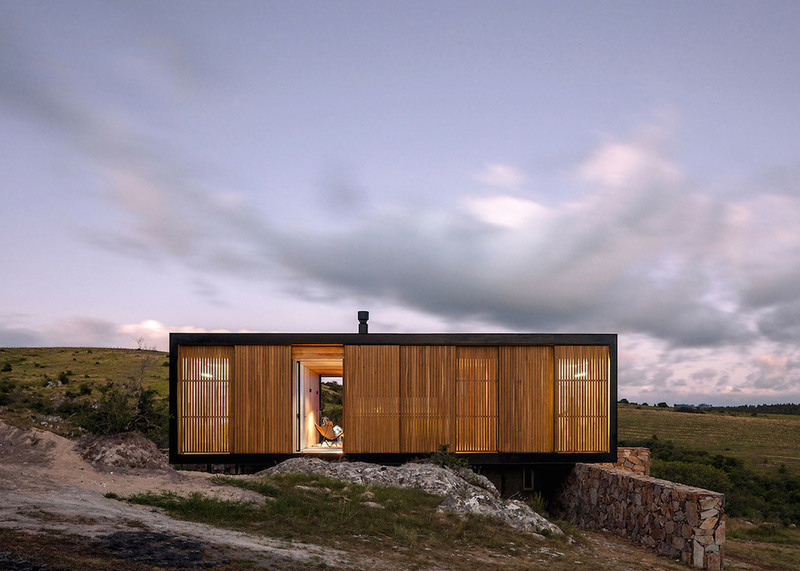 British architecture firm McLean Quinlan have used a 19th-century log cabin as the basis for the reconstruction of a stone house. The building sits low to the land, overlooking the vast plains of the Grand Teton National Park in Wyoming. 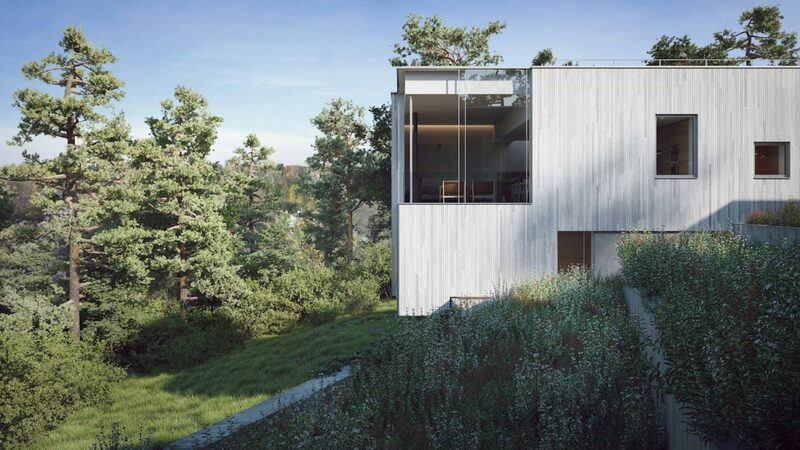 Situated amidst the trees of an Ontario woodland valley, Llama Urban Design’s ‘Bridgehouse’ presents an innovative creation of residential space in a natural reserve. 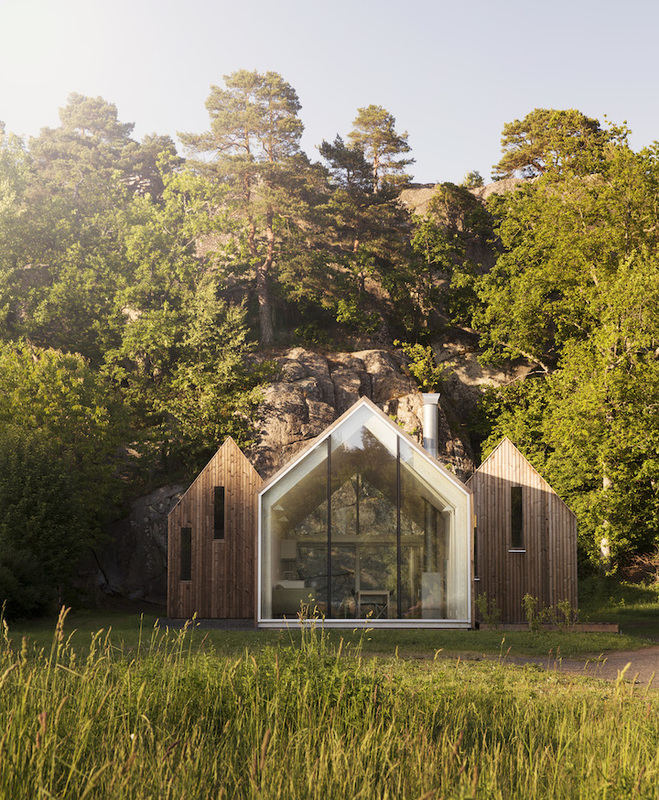 Located on the privately owned Swedish island of Henriksholm, JeanArch’s simple ‘72h Cabin’ provides a wellbeing-inspired retreat in the comfort of nature. 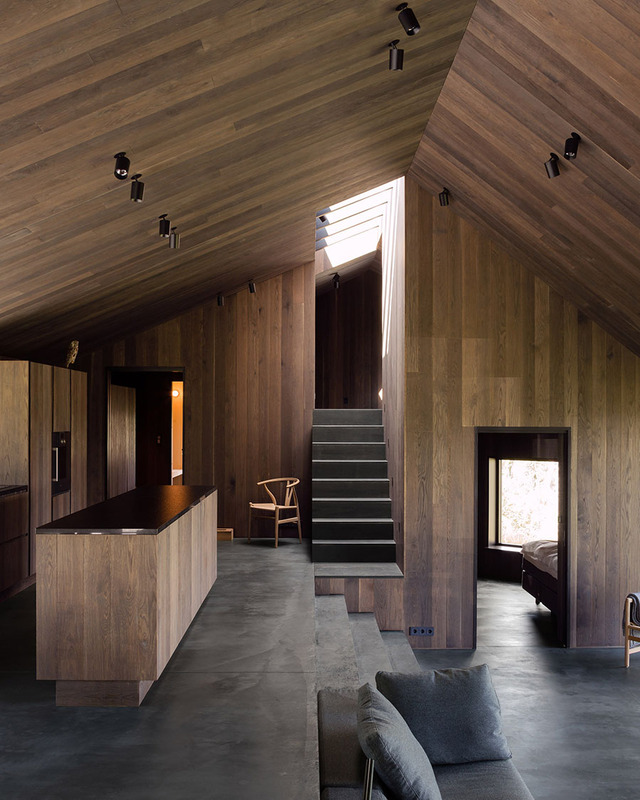 Located on a mountainside in the beautiful Trin village in Switzerland, this modern residence was recently renovated by Schneller Caminada Architects, who have kept the classic structure of the home while updating it with the wood cladding. 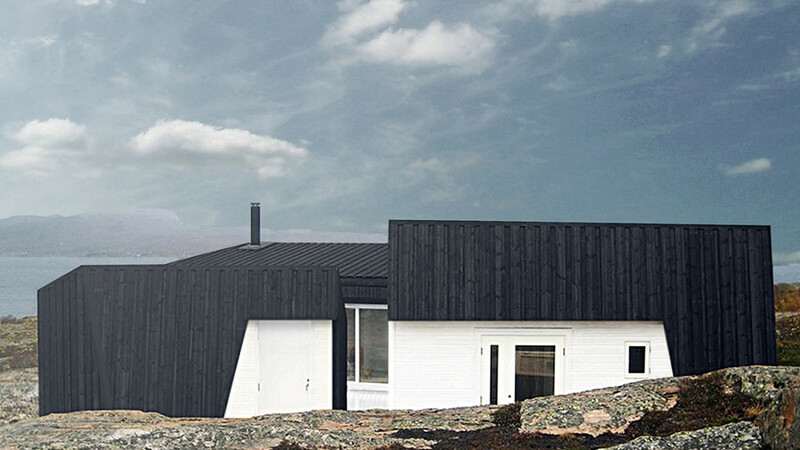 British architecture studio Ström Architects recently released a series of photo-realistic renderings for a duo of timber-clad villas to be built on the Swedish island of Lidingö. 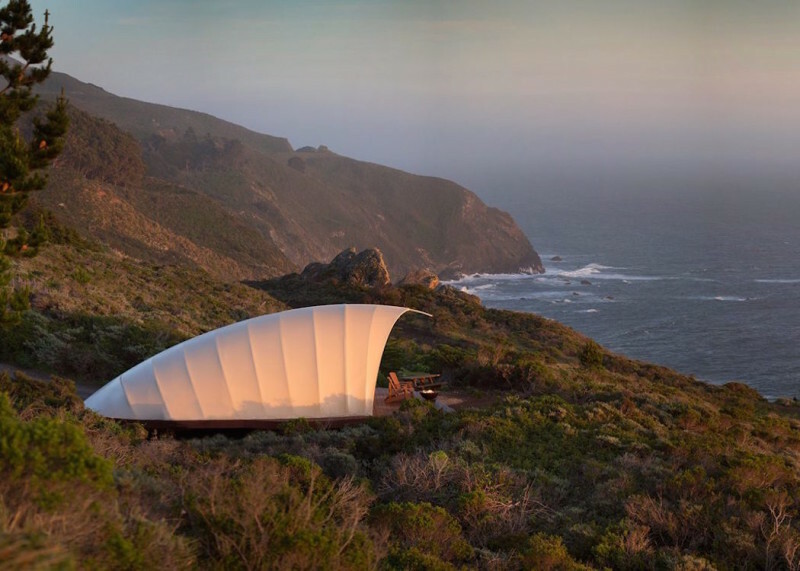 Architect Cristián Izquierdo created a pine wooden multifunctional holiday home opening up to a long beach, on top of a dune in the middle of nowhere in Chile. 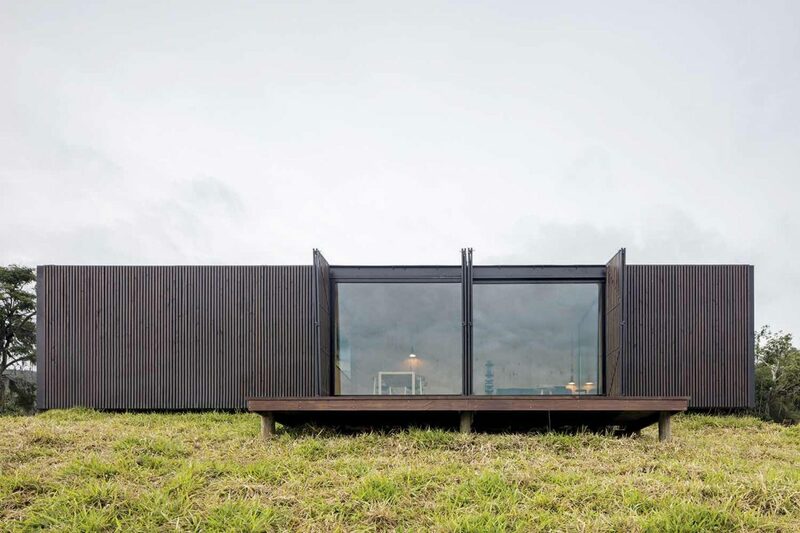 A high altitude cabin created by Lund Hagem in Geilo Valley with blackened timber and concrete elevations which protect it from harsh, Norwegian winter weather.Photographed by Marc Goodwin. 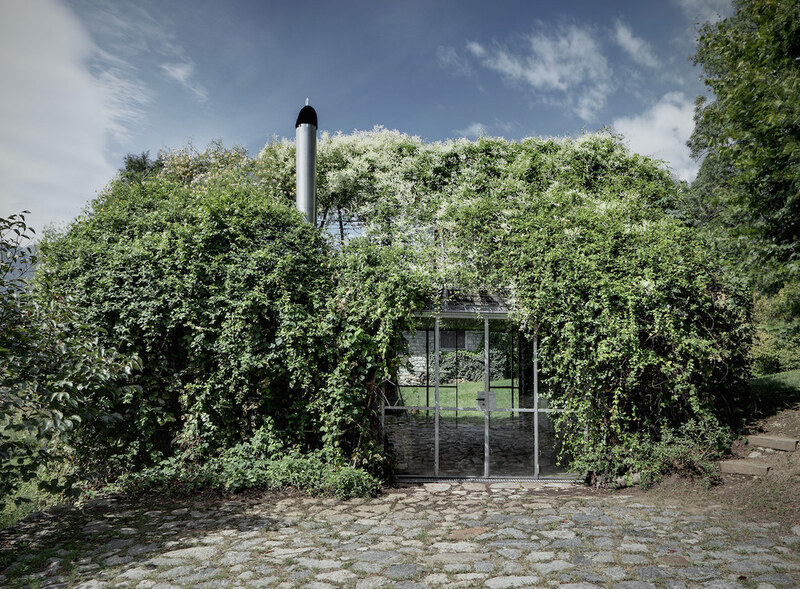 Located on a northern slanted plot in the Prague’s district Kyje, ‘House in an Orchard‘ stands out from the other buildings in the neighborhood, catching the eye with its unique appearance. 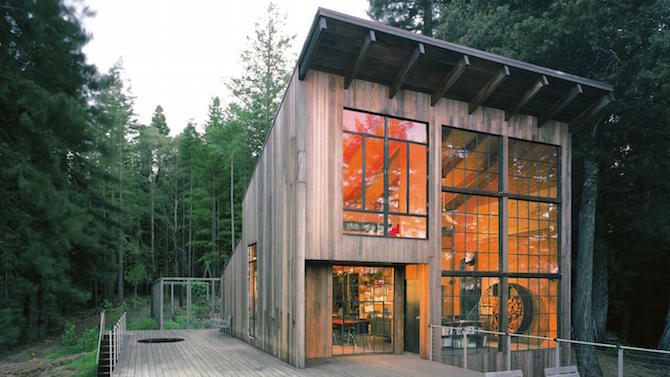 The wooden cabin is another neat example of “the pursuit of countryside quietness” that became a movement among the partakers of modern times in hectic and crowded urban areas. 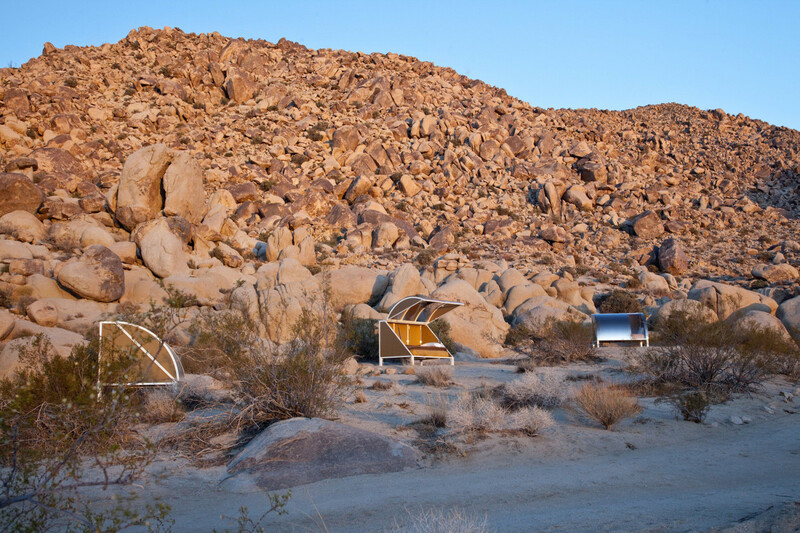 As result of a design competition for six students at Eindhoven University of Technology in The Netherlands, the team built a sustainable hiker’s cabin with architect Kristel Hermans being a valuable member to the project. 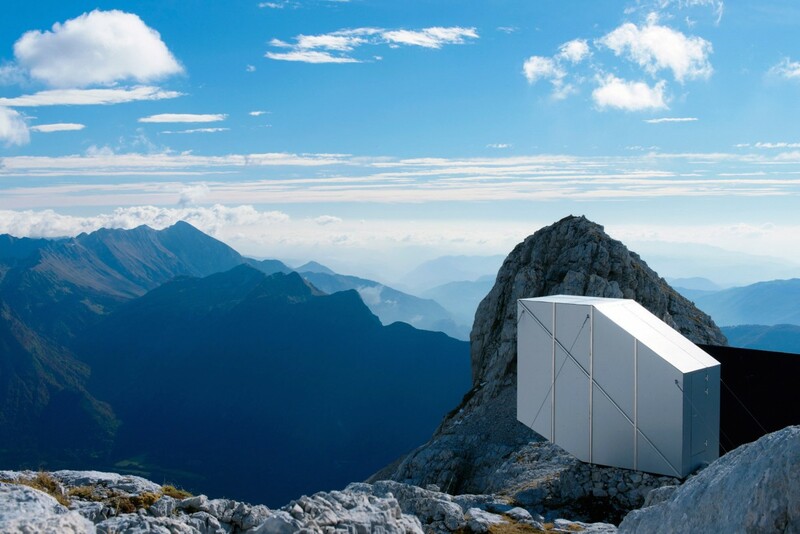 Designed by OFIS architects, the unique winter cabin is constructed on top of Mount Kanin in Slovenia. 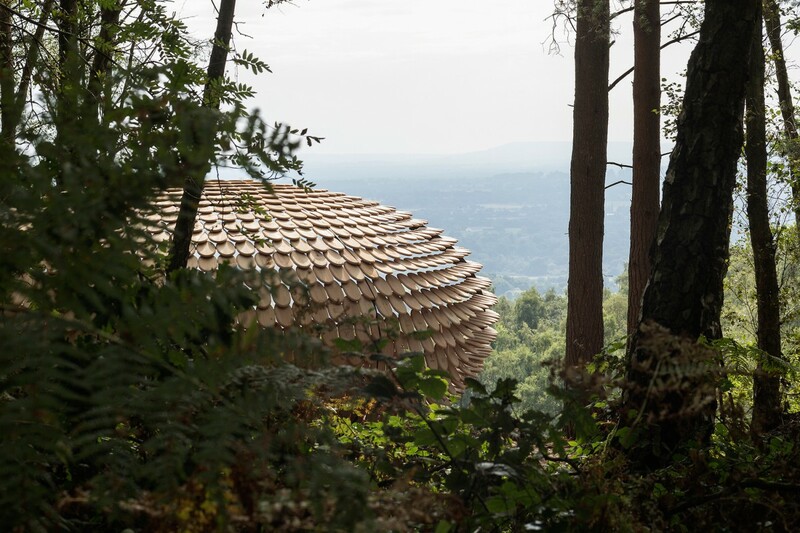 Designed by British designer Giles Miller, ‘Perspectives’ is an elliptical-shaped structure made of a steel framework covered in a series of cedar wood shingles. 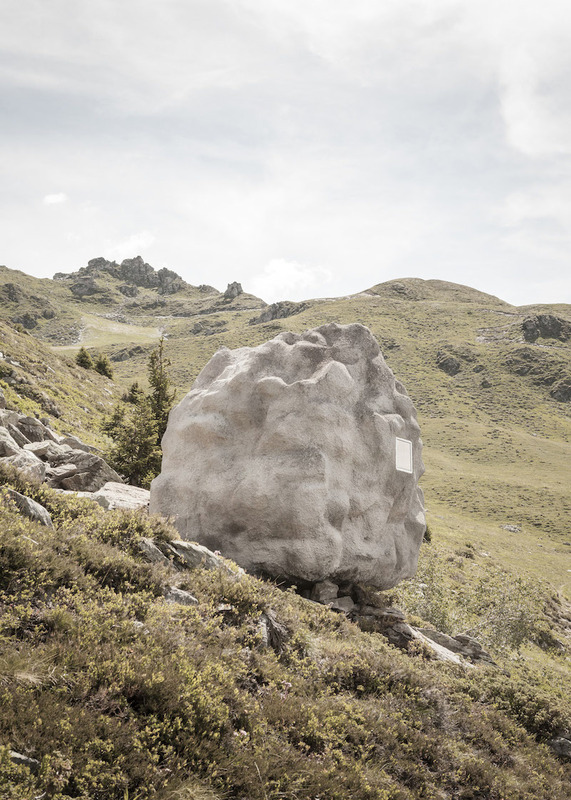 Italian studio Act_Romegialli was commissioned to redesign the garage of a weekend retreat nestled in the Rhaetian Alps into a space for relaxing and entertaining. 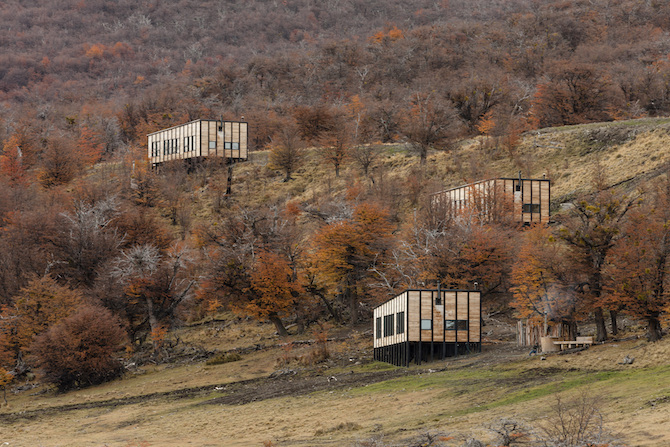 ‘Retreat in Finca Aguy’ is a 115-square meter prefab designed by MAPA and constructed in a factory near Montevideo before being transported to an olive grove near Pueblo Edén. 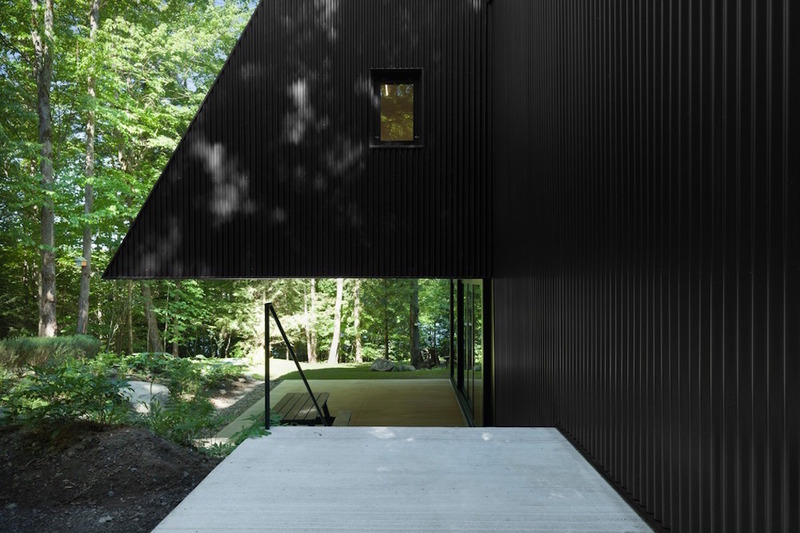 Tucked away in the depths of a hemlock forest in Quebec, Canada, is ‘FAHOUSE’: A black prism-shaped cottage designed by Jean Verville. 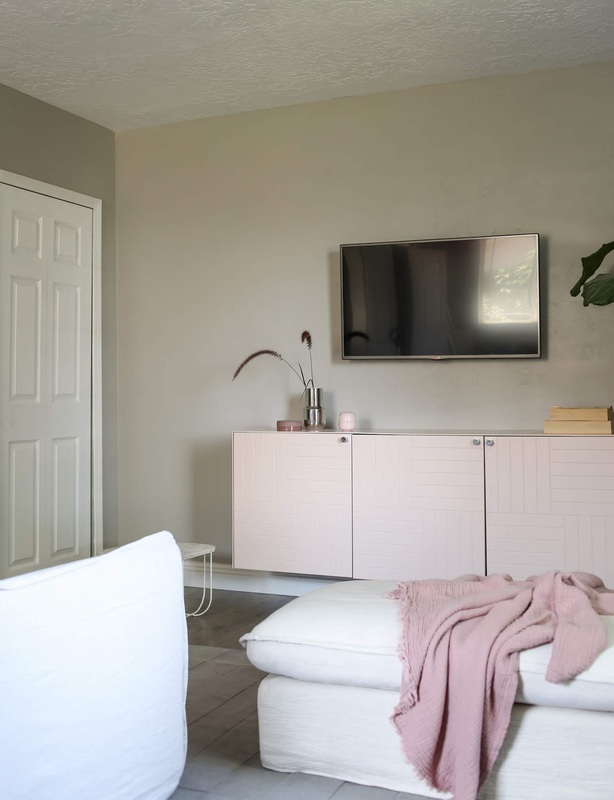 Most of the residences I feature here on AMM show the interiors exclusively because the challenge of organizing a space to live in is incredibly intriguing, with a real life application for all of us. 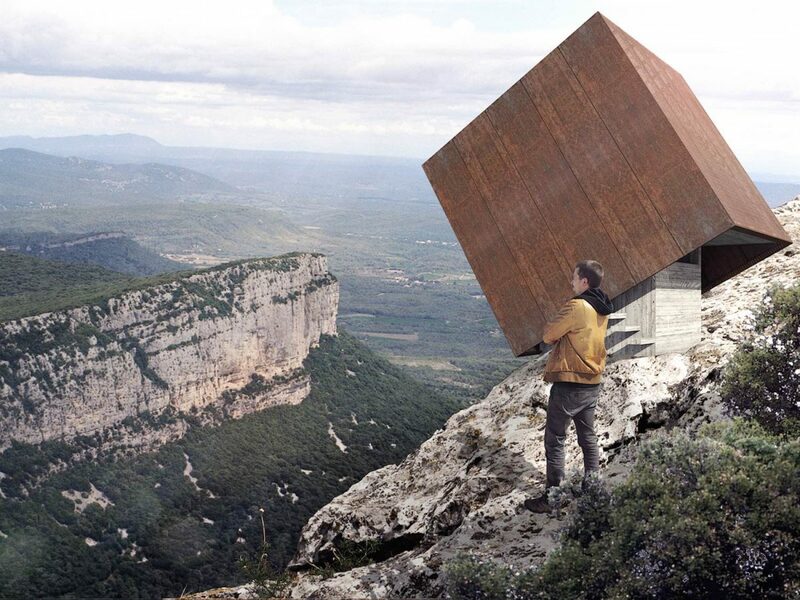 Living with other people or keeping all of our possessions in order while also saying something to the world about the home’s inhabitants and their lifestyle is all endlessly interesting. 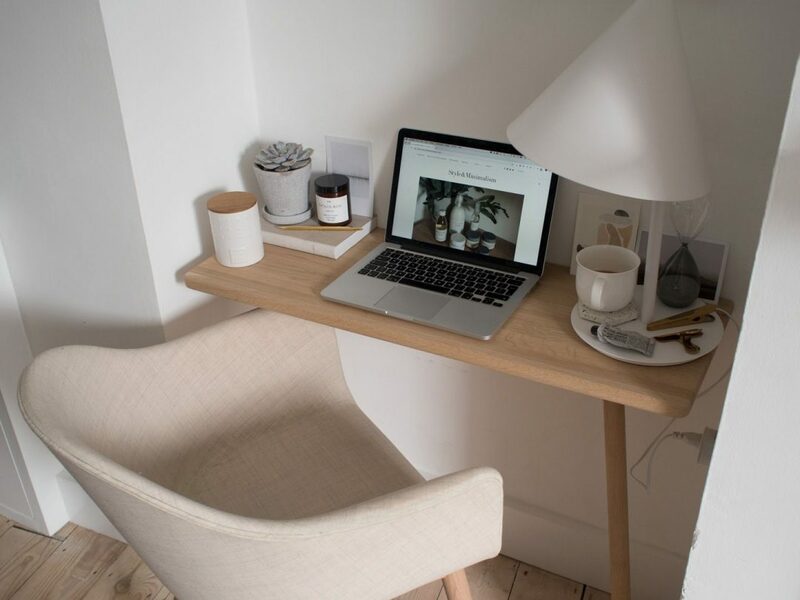 Interiors are often in a constant state of evolution as our needs and tastes change with time, with experience. 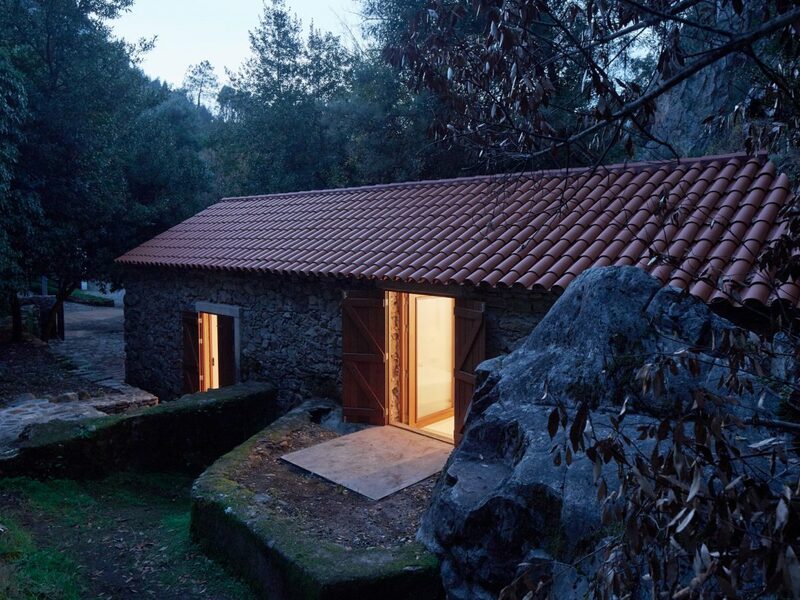 Exteriors and architecture are also very interesting as they can be interpreted a multiplicity of ways with dozens of materials, each of which can be treated with a different technique. Earlier this year we were in Portland and visited one of the Aesop stores whose interior is made completely of wood treated with a Japanese charring technique called Shou Sugi Ban. This can often be used as an exterior treatment as well however I also slightly prefer the look of weathered wood a bit more and even concrete or plaster as well. 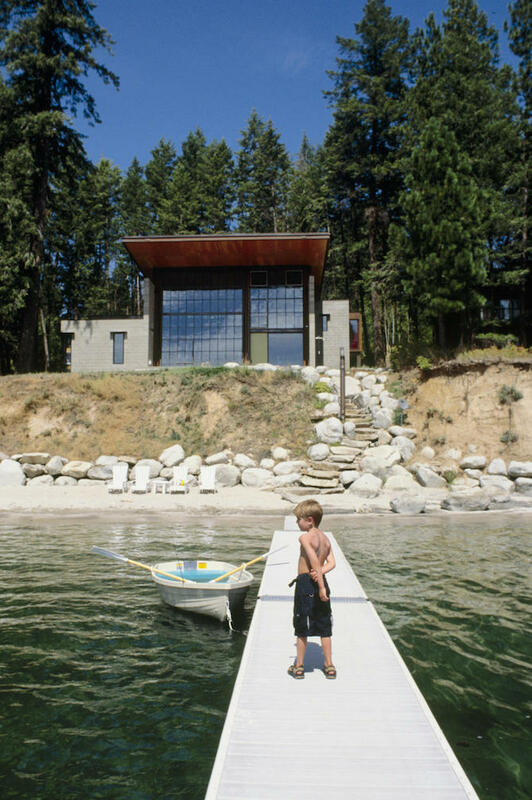 I’ve been telling my husband for years that I want to build a little cabin somewhere for us. 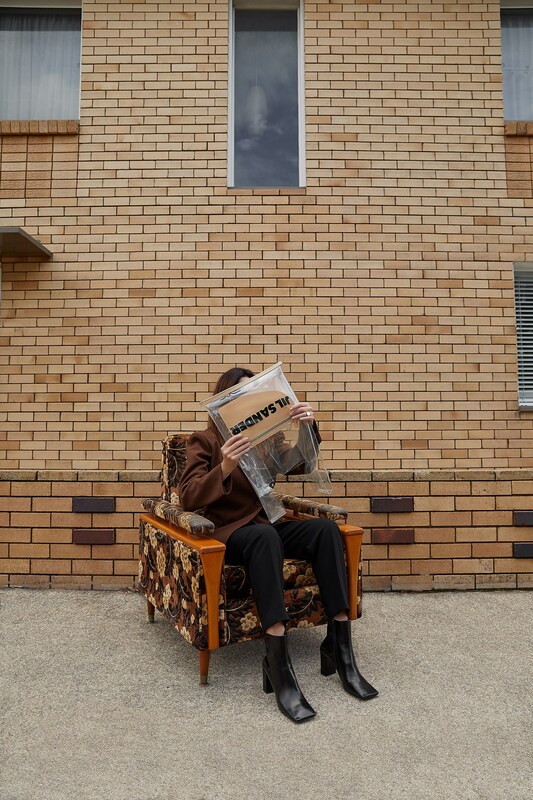 I’d be entirely happy with a modest place and sparse furniture, just so long as we can design the building ourselves. 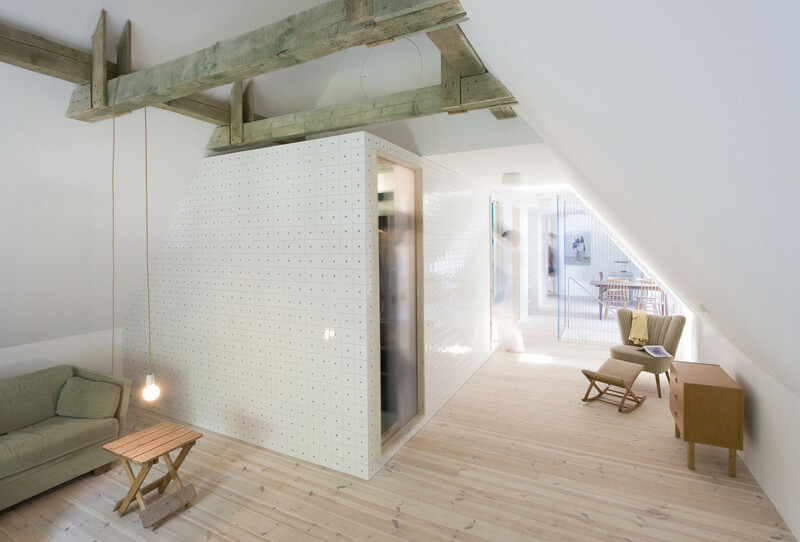 I’d want a lot of lumber, wood paneled floors and ceilings with built in storage. Furniture that serves dual purposes or at least collapse into a wall and a slim profile would be my ideal way of making the most of even a micro cabin. 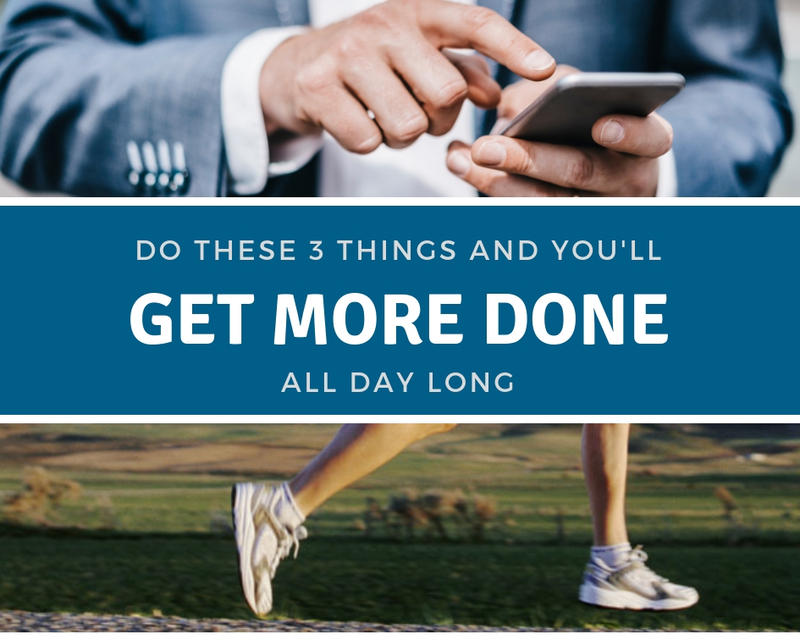 Some place near water and lots of tall trees, where we can all disconnect from routines and reconnect with nature. 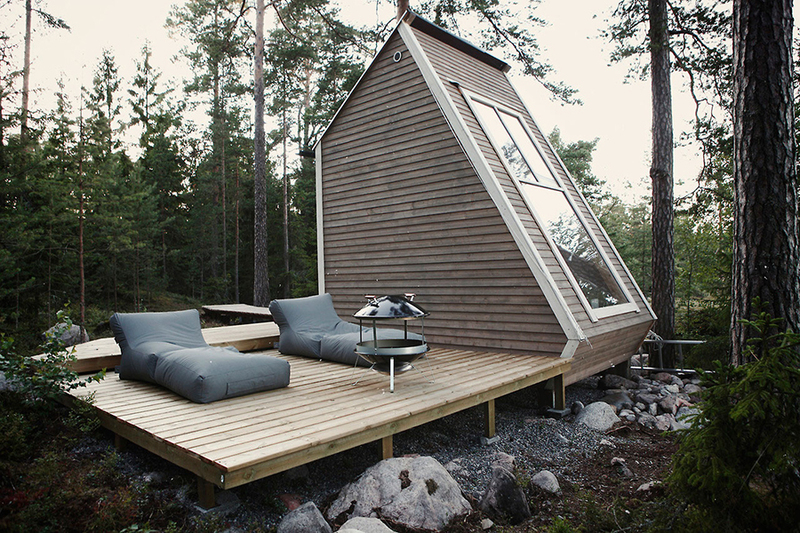 A big deck like the Nido cabin above from Robin Falck, would also be crucial because with a cabin it’s all about blurring the lines between the indoors and outdoors. 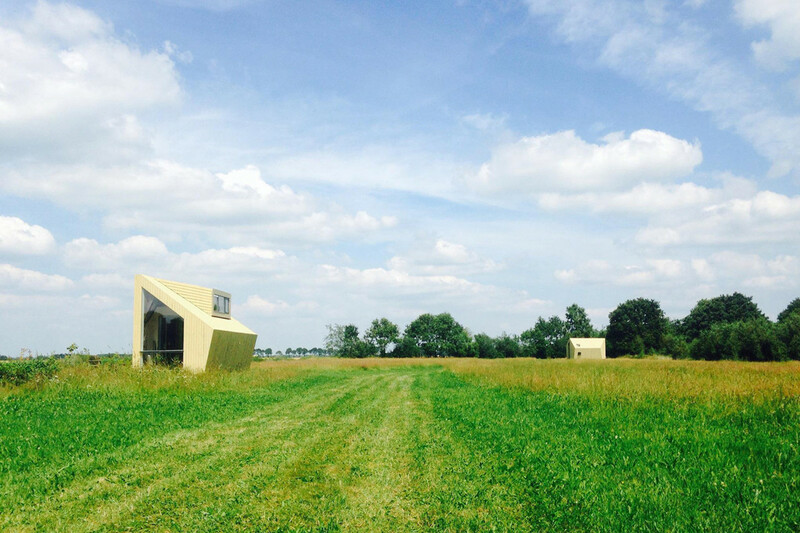 Here I’ve collected 6 cabins or in some cases homes, with simple exterior styles of pitched, shed and flat roofs. 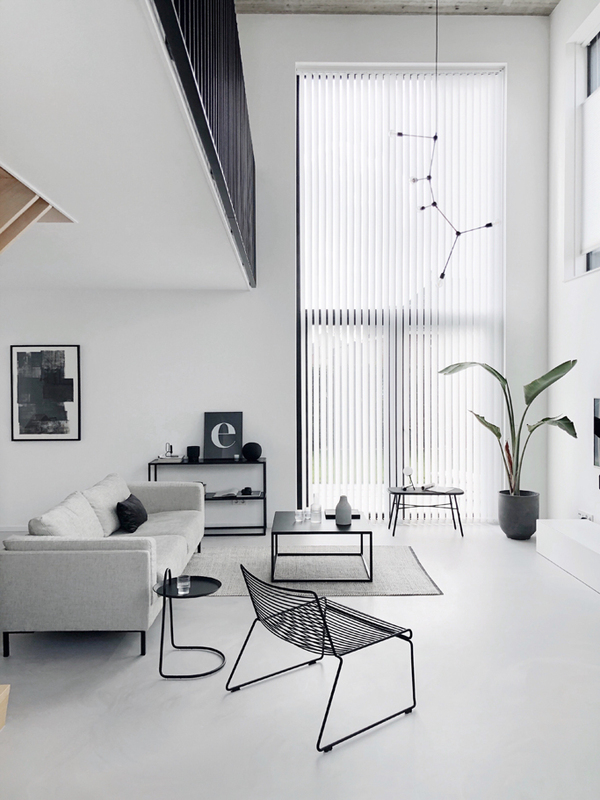 For their latest project titled ‘MIMA Light’, multidisciplinary design and architecture studio MIMA Housing created a sleek cabin-like modular home. 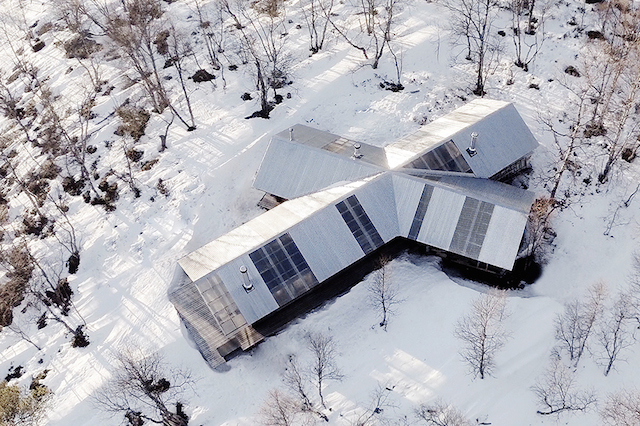 Oslo-based architecture studio Vardehaugen designed a cabin inspired by the shape of a mountain fox curled up to evade the cold wind.